Some BRIDGESTONE Motorcycle Service & Owner Manuals PDF are above the page. Today, everyone has forgotten that relatively recently in Japan there were not four leading motorcycle manufacturers, but five. And besides the already named Honda, Yamaha, Suzuki and Kawasaki (Manuals PDF pages) there was also the company Bridgestone Motorcycles. But the mention of the fact that Bridgestone once produced motorcycles you will not even find on the official website of the company. In the "History" section, bicycles (1941-1950) are mentioned in passing and that's it! Nevertheless, the motorcycles were also. So, the company Bridgestone was founded in 1931 and was producing tires for all kinds of wheeled vehicles. During the Second World War, strangely enough, it did not hurt much. The main production capacities were preserved and they were quickly re-launched into operation. But, in a poor, war-torn country, there was a catastrophic shortage of inexpensive and affordable vehicles. And the company's management decided to launch bicycles besides tires. The corresponding unit - Bridgestone Cycles - was registered in 1946. By the way, it still exists. And after three years an agreement was concluded with the company Fuji Precision Engineering (which was then in Nissan Motor Co.) to supply light motorcycles for bicycles. They were two-stroke 26-cc engines. So there was the first scooter Bridgestone. It was called BS-21 "Bambi". Then there were BS-31, BS-41. The working volume of engines grew, the running gear got stronger. Sales were not bad. 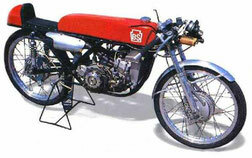 But the first full-bodied motorcycle appeared only in 1958. The model was called BS "Champion" and was equipped with a 50-cc two-stroke engine with air cooling and a three-speed gearbox. The company Fuji here already had nothing to do with it. 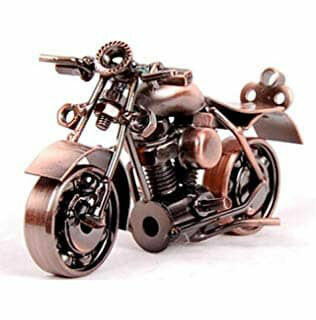 The motorcycle was designed and developed by Bridgestone's own specialists. Five years later, after a number of improvements, Bridgestone began exporting this model to the United States. Over the ocean it was called "Super 7". Problems with the company began in the late 60's. First, in America they began to fight for the environment and two-stroke motorcycles could not meet the new requirements for emissions of harmful substances into the atmosphere. And to do four-stroke motorcycles Bridgestone engineers could not, and did not want, considering such a scheme "wrong." Secondly, in Japan itself, Bridgestone experienced an acute shortage of production facilities for actively developing and expanding tire production. Read - VILLIERS Motorcycle Manuals PDF & History.